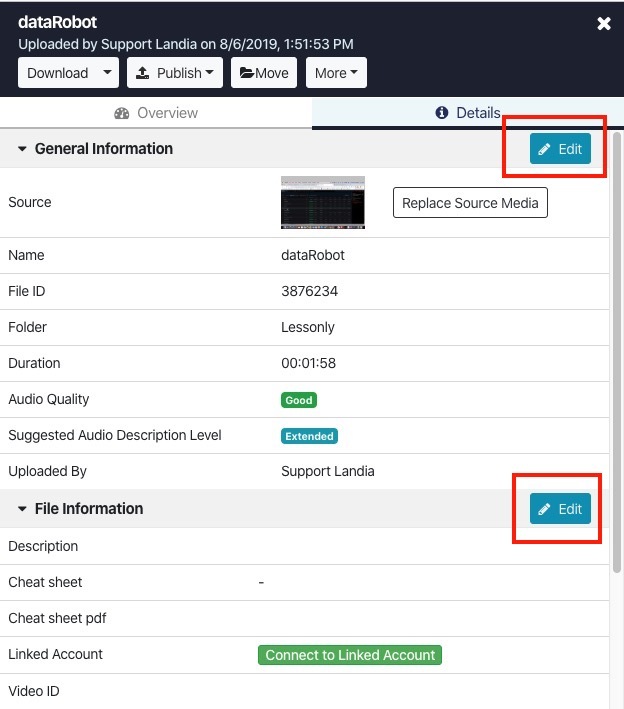 The metadata of a file, such as the Description, Video ID, and Attribute fields can be edited at any time. If you would like add information such as custom Speaker IDs, descriptions or glossaries, this can be done by attaching a cheat sheet to the file when it is in the pending state. From the My Files page click the file which you need to rename. Step 2- Click Edit Details icon. Click the Edit Details icon located on the right-hand side of the file show page. By default you will be directed to the Basic tab of the Details section of the file. 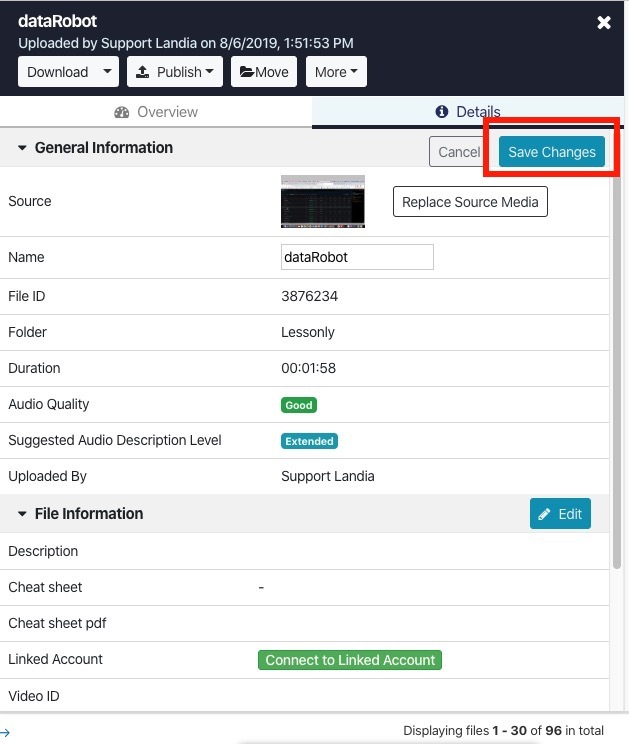 Edit the metadata of the file. Once you have made your edits, click Save Changes.